Microsoft and Volkswagen are set to strike a deal to use the U.S. software giant's cloud technology to connect the company's entire vehicle fleet as the automaker steps up its transformation into digital and mobility services. 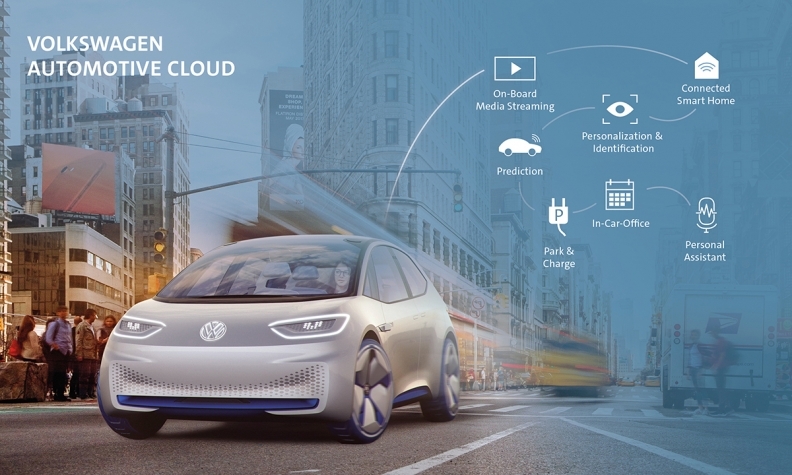 VW will channel all of its digital offerings through Microsoft's Azure software, creating the world's largest automotive cloud of its type in an effort that will help streamline future developments, the company said Friday in a joint statement. By 2020, more than VW brand 5 million new cars per year will connect using the software. The two companies didn't disclose the value of the deal. "The strategic partnership with Microsoft will turbocharge our digital transformation," said VW CEO Herbert Diess. "We will play a key role in shaping the future of auto-mobility." Microsoft is trying to catch up to market leader Amazon.com Inc. in selling services that run cloud applications and store data for customers. While Amazon entered the market first and still has three to four times as much share as No. 2 Microsoft, the software giant is trying to win over large enterprise customers who may have historically used its corporate and computer software. Volkswagen plans to set up an automotive cloud development center near Microsoft's headquarters with a workforce that'll grow to 300 engineers. Boosting its software operations is a critical part of Volkswagen's strategy through 2025 to tackle a seismic industry shift toward electric and self-driving vehicles. Last month, Diess foreshadowed a "massive expansion" in its digital investments, including partnerships and acquisitions.